Many people in Toronto have questions concerning CPAP machines, even those who do not use the machines. We are going to explore some of the more popular questions asked. Q. What is sleep apnea? 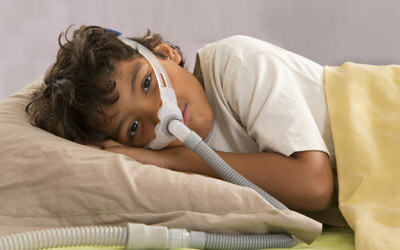 Sleep apnea is when a person stops breathing in their sleep and their mind does not wake them up in order to breathe. Q Why do I need a CPAP? People with sleep apnea require a CPAP to create continuous positive air pressure to make sure they continue to breathe during their sleep. The CPAP does what the brain sometimes does not do. Q Do I need a prescription to get a CPAP? Yes federal law requires that you have a prescription for a CPAP. Some provinces may not require a prescription for parts such as masks, tubing, or filters but some do. You will have to talk to your health care provider to find out if you need a prescription for parts. Q Will my medical insurance the CPAP machine? A majority of insurances will pay a portion of the machine; you will be responsible for the other portion. However, before your doctor writes a prescription and sends you to a respiratory therapist for a CPAP machine check with your insurance as many will need a preauthorization if they are going to pay their portion. Q What are auto CPAP machines? Auto machines do not need a sleep test done every time your CPAP is not giving you enough air pressure. The auto machines adjust the pressure automatically throughout the night to make sure that your airways stay open. Q Do I need a special pillow? Not usually, however if you change positions often a special pillow may help resolve the issue. Q Can I travel with a CPAP? Yes you can travel with a CPAP; there are a few things you will need to plan for with travel. It is a good idea to pack an extension cord if you are traveling abroad pack an adapter for the outlets. If you wish to use your CPAP on the plane, call the air line and ask if they have a power source for your medical machine and what type of power it is as you may need your adapter. Purchase a batter for your individual CPAP machine. Q Will my CPAP operate on battery power? Yes you will need to purchase the battery that is specific for the model of CPAP you have. Theses battery times vary depending on your air pressure needs. The one thing that you won’t have is the humidifier as that uses up the battery much faster. The battery option makes it easier for those who enjoy camping to continue to go camping. Q Am I required to do maintenance on my CPAP? Yes some minor maintenance on your part is required. You will need to clean the filter, mask, and tubing of your CPAP. The reasons for cleaning these items is it keeps you from catching bacterial illnesses and your mask sealing better, as well as the health of the machine itself.